A picture of contemplation, this small and intense portrait conveys much about the hard life and humanity of Haddon's sitter. 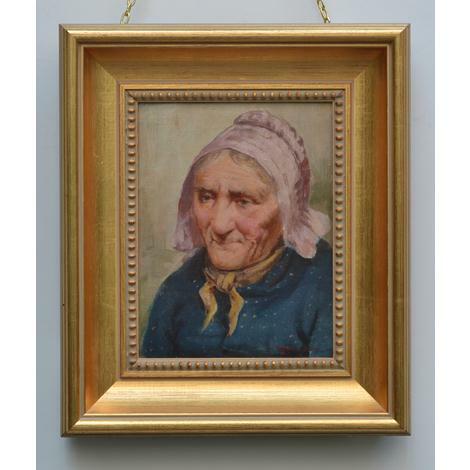 The head and shoulders fill the picture, which is presented in a fairly substantial, moulded and beaded frame. Altogether, the piece demands a degree of concentrated attention.